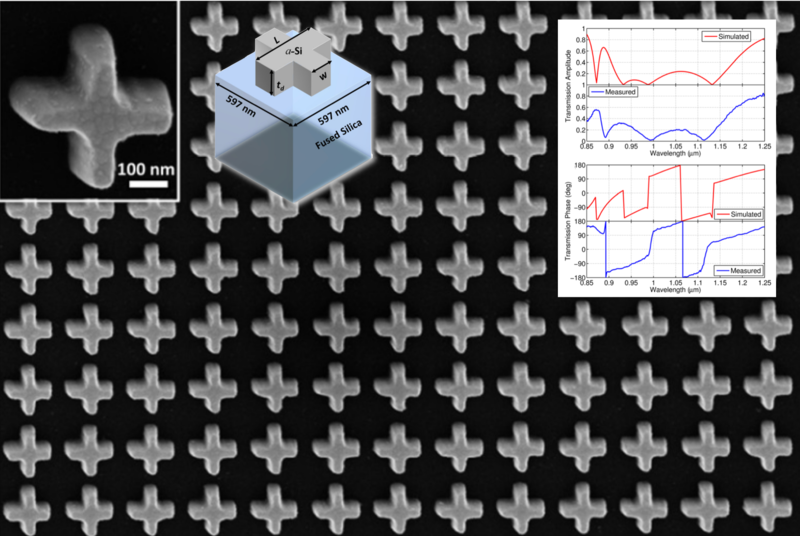 A dielectric mirror comprised of a cross-shaped amorphous silicon nanoresonator array was designed to achieve 99.8% reflectivity and zero reflection phase at the wavelength of 0.99 μm. The measured results match the predictions precisely, with 99.5% reflectivity and near-zero reflection phase at 1 μm. By precisely controlling the propagation of light in nanometer-scale materials, this combined approach of materials design and advanced fabrication holds great promise in applications ranging from nanocavities to nanowaveguides and nanoantennas.